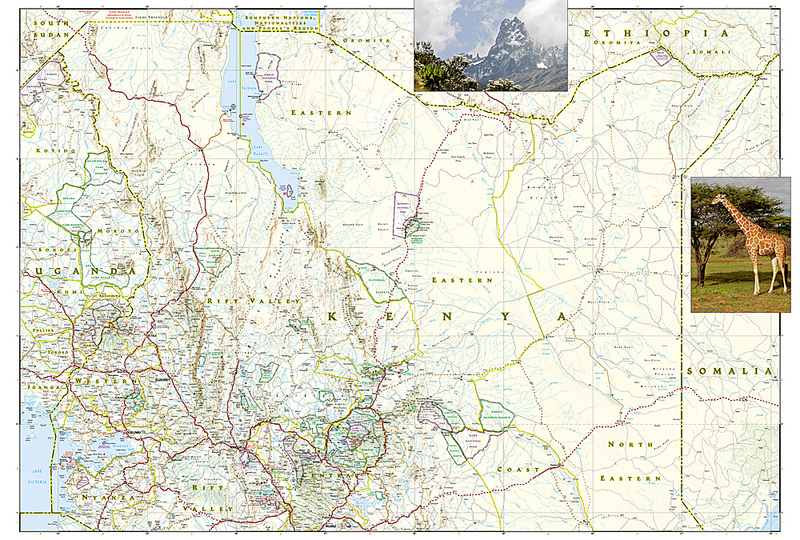 Kenya Adventure Map  - $10.95 : Trail Explorers Outpost, Keeping the Adventure Alive! Explore the diverse and iconic landscapes and many unique recreation activities available in this exciting country with National Geographic’s Kenya Adventure Map. Designed to meet the needs of adventure travelers with its detailed, accurate information, this map includes the location of cities and towns with a user-friendly index and a clearly marked road network complete with distances and designations for expressways and roads. Scenic routes, four-wheel-drive tracks, and other trails are shown for those seeking to explore more remote regions. National parks, World Heritage sites, forts, archeological sites, campsites, hot springs, beaches, diving areas, and more are clearly indicated so travelers can take advantage of Kenya’s many natural and historical attractions. 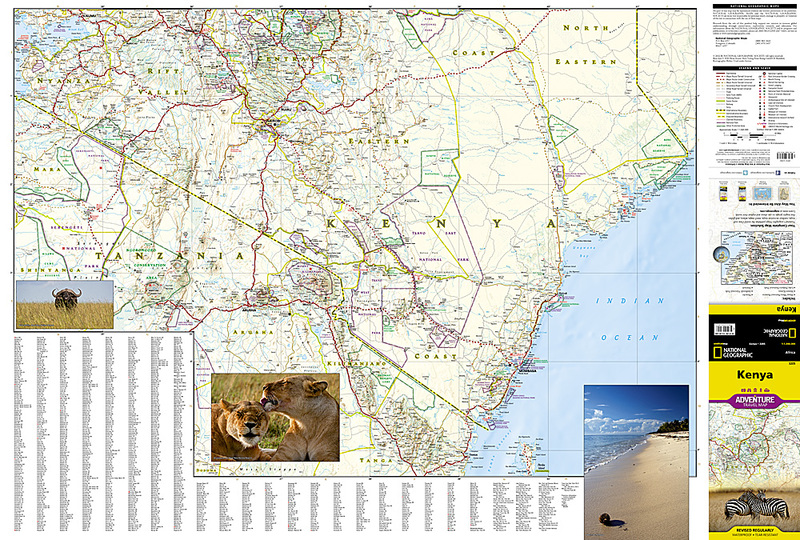 The front side of the Kenya print map details the southern region of the country, from The Indian Ocean to the east, to the bordering country of Tanzania to the southwest. The reverse side of the map details the northern region, showing the bordering country of Ethiopia to the north, Somalia to the east, and Uganda to the west. Travel aids such as the locations of airports, airfields, railways, petrol stations, park entrances, and border crossings take the guesswork out of travel around the country.